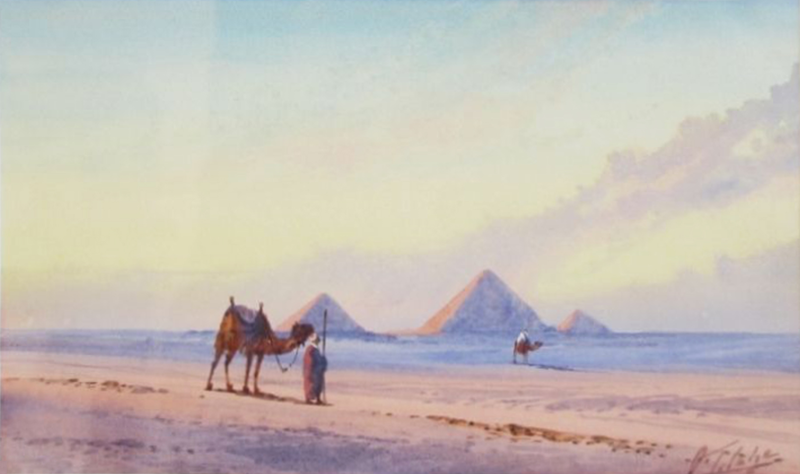 The Great Pyramid Khufu used to be in the middle behind the Sphinx and the capstone was missing. 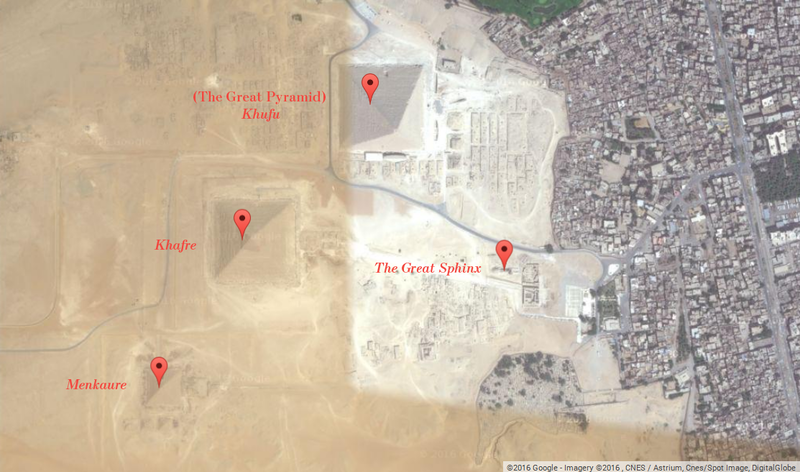 Now Khufu (Cheops) is not in the middle. It has a twin, Khafre (in the middle now) next to it standing the same height. The Great Pyramid stands 139 meters and Khafre stands 136 meters. The smallest one, Menkaure was more further left than in the picture below, and also further away. The pyramids were more remote than they are now. Giza is right next to them!